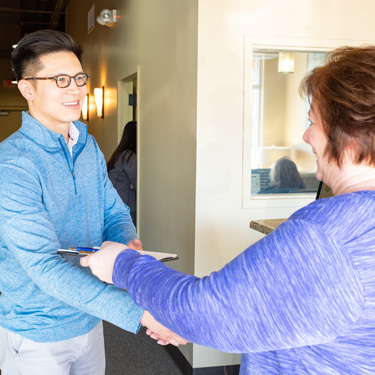 Chiropractic Group of Overland Park offers a modern environment where you can feel our positive energy from the moment you walk in. All ages will feel at home in our practice. We look forward to welcoming you! When you arrive, you will fill out the intake paperwork. We will ask you for your insurance card and take a copy. Your coverage will be verified by the time of your next visit so that you know what to expect. You will meet with Dr. Tran to discuss what has brought you in. An examination will be next, which will help determine the appropriate care for you. 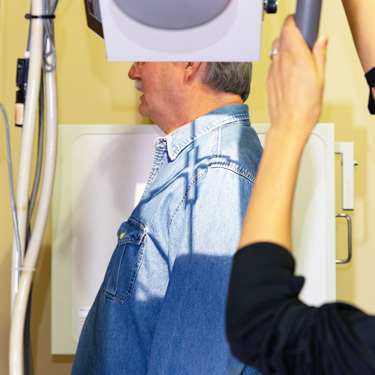 If you have not had a recent MRI or X-ray, we will likely take some images in-house. 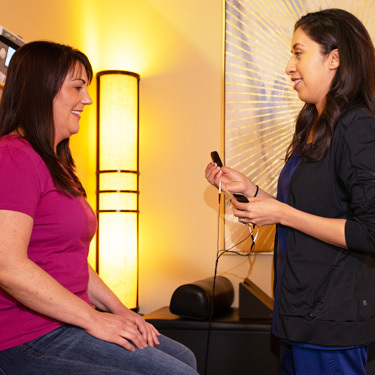 You will have a brief overview of your findings and receive your first treatment. 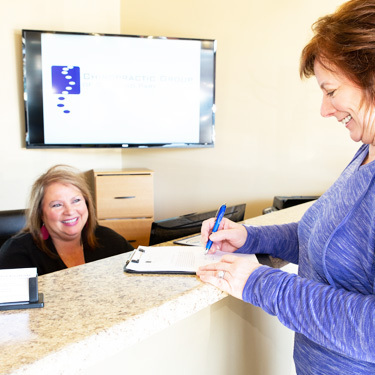 We will have you return for your next appointment as quickly as possible, usually the next day. Dr. Tran will show you your X-rays and other examination findings. We will discuss how you have been since your first treatment. A therapy modality may be added if appropriate. You will also find out what your insurance benefits are so that there are no surprises. Are you interested in finding out more? 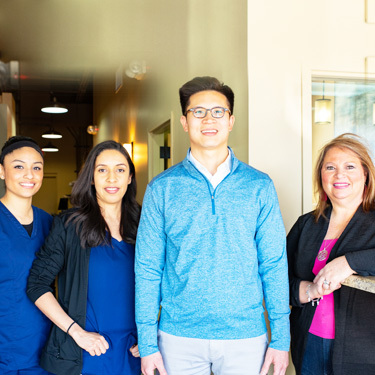 Contact our friendly team today to schedule your first visit! We also welcome walk-ins to drop by.